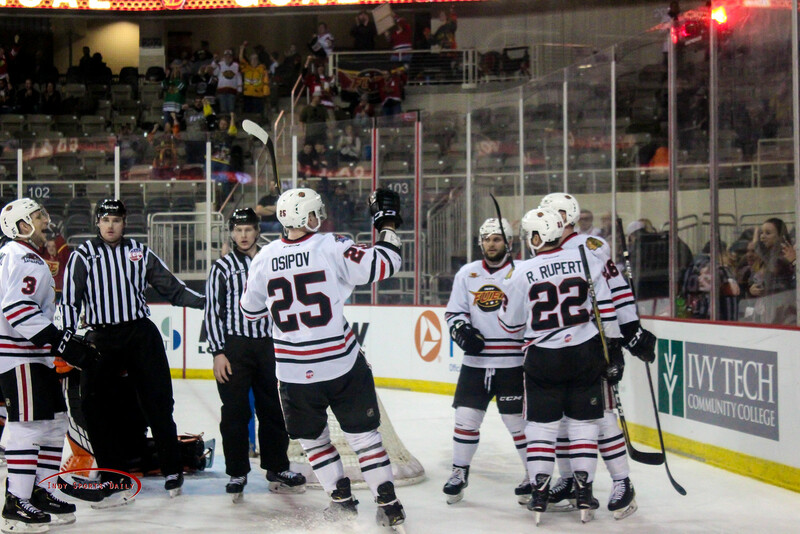 The Indy Fuel are trying to make their fifth season as a franchise a memorable one. The team is making a push for the Kelly Cup Playoffs for its second season in a row. Last season, the playoff berth came down to the final day of the regular season and the Fuel pulled out the victory when they needed it most. They hope to clinch a spot in the postseason a little sooner this time around. They control their own destiny, but let’s take a deeper look at the remaining 28 games on the Fuel’s schedule and what needs to happen for them to clinch a playoff spot. In order to clinch their spot in the playoffs, the Fuel have to finish in one of the top four spots in the central division of the ECHL. On February 1 at 3:20pm, Indy is tied with Fort Wayne for third place with 47 points. Below the Fuel and Komets are the Kalamazoo Wings and the Wheeling Nailers who are just three and four points behind Indy, respectively. At the top of the division are the Cincinnati Cyclones and Toledo Walleye with 60 and 59 points respectively. Of Indy’s final 28 games, 21 of them are against central division opponents. They play Fort Wayne eight more times before the season is over. Those will most likely be some of the biggest games of Indy’s season as the teams have been neck-and-neck all year long. The Fuel have three different opponents from other divisions remaining on their schedule this season: four games against the Wichita Thunder, two against the Reading Royals, and one against the Kansas City Mavericks. All three of these teams are in a similar standing as the Fuel, with a similar number of points. While it is important for Indy to take care of business in these games, they don’t carry quite as much weight as the games within the division. Indy needs to create a bit of separation between themselves and the three teams below them in the standings. If they hit any kind of a downslide, they could easily find themselves in last place after just a couple of losses. If the Fuel can grab points in a majority of their remaining divisional games, they will find themselves in a good position to snag a playoff spot and maybe even make a bit of a run in the 2019 Kelly Cup Playoffs.